Pushing the boundaries. 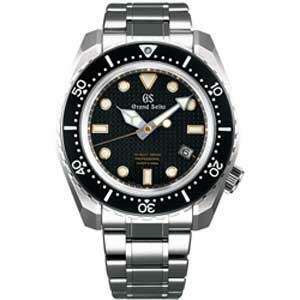 The Grand Seiko Hi-Beat 36000 Professional 600m Diver’s. 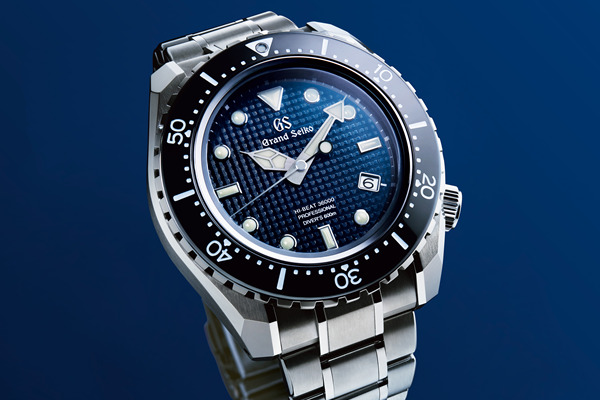 For many years, the Grand Seiko Diver's watches have been in great demand from recreational divers. Today, the meticulous standards of Grand Seiko are expressed in a professional diver's watch for the first time. With a titanium case, an exclusive 9S hi-beat caliber and exceptional anti-magnetism, this new creation, with the Grand Seiko logo at the twelve o'clock position, pushes back the boundaries and takes Grand Seiko into an entirely new realm. All the characteristics of Grand Seiko are here. Outstanding precision of -3 to +5 seconds a day, superb legibility, high durability, thanks to the high-intensity titanium case and bracelet and the distinctive clean edges that only Zaratsu polishing can achieve. This is unmistakably a Grand Seiko and yet no compromise is made in satisfying the needs of the professional diver. The case is designed for saturation diving, with the valve-free helium resistance that results from Seiko's innovative technologies, including the heavy duty construction and the L-shaped gasket. The grooves on the rotating bezel are extended for secure use, even with thick gloves. The bracelet has a sliding extension setting to accommodate pressure changes. Even the dial is purpose built for this specialist use. It is made of iron to protect the movement from the harmful effects of magnetism and delivers magnetic resistance of 16,000 A/m. The whole watch and all its components are built for long-term use; the case, stem and crown are designed for secure servicing and even the bezel has a four-part design that makes for easy disassembly and re-assembly. 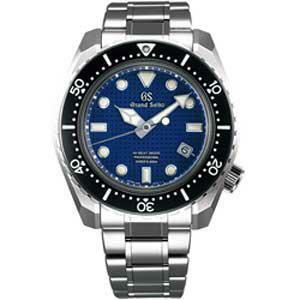 The Grand Seiko Hi-Beat 36000 Professional 600m Diver's is offered in two variations. The first is a limited edition that is offered with an extra-strength silicone strap alongside the high-intensity titanium bracelet. The strap is in the deep Grand Seiko blue to match the dial. Just five hundred of this limited edition will be made. The second version has a black dial and will be a permanent part of the Grand Seiko collection. Both versions will be available from August 2017.